@BifBangPow: FLASH finally coming back to DVD!! FLASH finally coming back to DVD!! 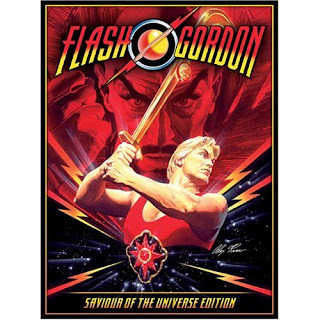 But seriously it is shaping up to be agreat year for Flash Gordon fans. I am looking forward to the new DVD almost as much as the figures. This is FANTASTIC news! This truly is a great year for Flash fans...action figures and a new DVD, what more can a guy ask for? Thanks to BBP for being a part of it!